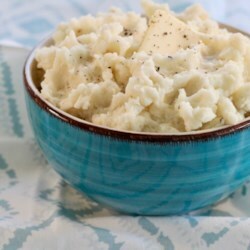 This recipe is not bad but I added all the milk in and the mash potato became too runny (like soup). I'll say not to add all the milk this recipe suggested. Just add a little milk a time until u think it's the texture u want and that's it. Then maybe u'll love it. ^-^.